We are indeed most definitely back !! 600 quid a month to share a room. Sign me up. I like the line ‘Building completely refurbished to meet students’ needs’ How exactly? Posted in Misc and tagged Crying Chair, student at 10:22 am on September 18, 2015 by Broadsheet. The kitchen picture is hurting me, is that two pictures side by side ? That kitchen has more angles in it than the Merkels of Germania. Yeah, why is the cooker on it’s own in the corner. But then in the next pic, it’s not. And if you click on the ad, it says 1 bedroom, 1 bathroom. But there are pictures of 2 bathrooms. 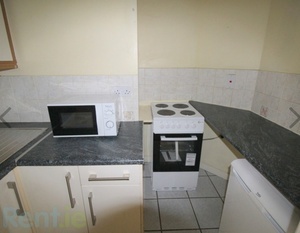 There are two kitchens as well. I see they’ve gone for remand home chic. Just realised there are three beds in the same room and not two. Which not go further and have three sets of bunk beds? Don’t give them ideas, for Jaysus sake! It’s an ad for the whole development, so it’s pot luck as to whether you get the Student special (cooker pushed out of the way, sure don’t you have the microwave) or the deluxe, with couches and Bargaintown stuff . Pretty great location all the same, worth paying the extra for if you don’t want to commute like most people. 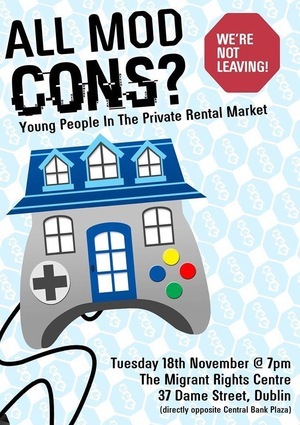 How’s being a landlord treating you? 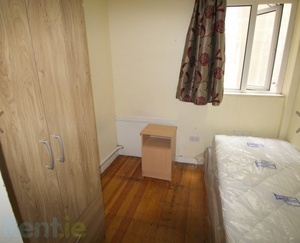 I’ve a one bed with my boyfriend and we are more central, pay less than that each, have a much nicer apartment and we have a parking space in a secure garage. 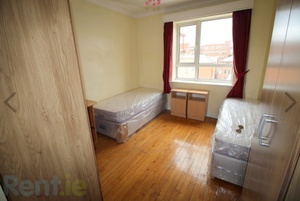 I’ll grant you we’re relatively lucky but that apartment is ridiculous, even by ridiculous Dublin rental standards. Probably owned by a ‘fine upstanding respectable’ type who’ll sell it after seven years, thereby availing of Fine Gael’s Capital Gains Tax exemption for the purchase of investment properties. Yes. That’s right. 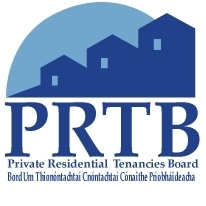 Fine Gael gave property investors a complete exemption from Capital Gains Tax if a property was purchased and held for seven years before selling. Yet at the same time, Fine Gael cut essential services to people like disabled children and the mentally ill.
‘Building completely refurbished to meet students’ needs’ How exactly? It doesn’t contain nice things to be broken by students. New matreeses? Would have been delighted with this in ’99. It already contains Traffic Cones? “Student needs” – when extremely basic and dubious standards meets outrageously extreme profiteering and exploitation of limited options availability. Today Michael Noonan referred to “easing” the new deposit requirements for first-time buyers following lobbying by the Construction Industry Federation about the purchase price of “starter homes” being put of the reach of these buyers. Translation: the CIF want to build low-grade, low-quality “starter homes” which no doubt in Dublin will equate with being well-beyond the M50 with minimal public transport options but they also want a handsome return on their investment (high cost of building crap and all of that) in inducing first time buyers to cough up desired purchase price of the CIF but with carrot of government assistance. I appear to have forgotten to use the definite article twice in the last sentence. Diddums. new fixtures and fittings, central location. What’s there to whinge about? 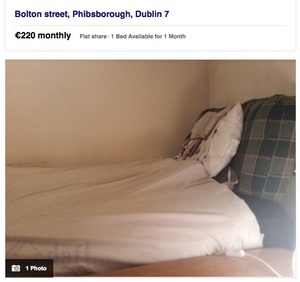 The whole thing just shows how little effort Dublin landlords have to go to to and what little pride they have in their product offering. I… I… lived there for a summer on work experience. Crammed five of us into three bedrooms just like that. Fortunately between work and messin’, we were rarely home.